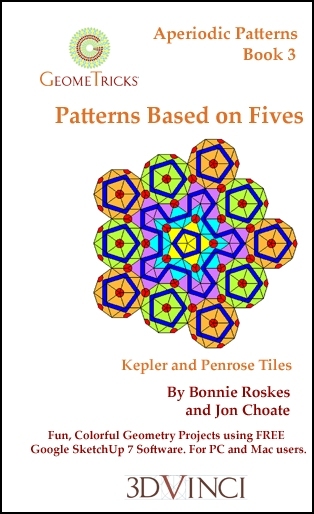 With this book, you will start with some simple Kepler pentagon patterns, and work your way up to some complicated Penrose shapes. This book will make you concentrate! All geometry is created in Google SketchUp 7 - a free, easy-to-use 3D modeling application. For both Mac and PC users. View chapter details.